Please note that the Annual General Meeting of Wigan St. Patricks ARLFC is to take place at the Wigan St. Patricks Clubhouse, Harper Street, Wigan, Lancashire WN1 3BN at 7:00pm on Wednesday 14th November, 2018.
discuss and vote upon any resolution put to the Meeting in relation to Club policy or to changes in the Club Rules. Further details of the resolutions to be considered in this regard are given below. that, in addition to the Officers of the Club, the further members of the Club who may be elected to the Committee under paragraph 10(b) is, for consistency purposes, revised from five to seven. that the significant involvement with the Club required by paragraph 10(e) to qualify a person to be appointed as an Officer of the Club or elected as a Club Committee Member be extended to include the capacity of parent (including step-parent, grandparent or any other role acting substantially in the position of parent), or sponsor. that the significant involvement with the Club required by paragraph 11(c) to qualify a person to seek to be appointed as an Officer of the Club or elected as a Club Committee Member be extended to include the capacity of parent (including step-parent, grandparent or any other role acting substantially in the position of parent), or sponsor. 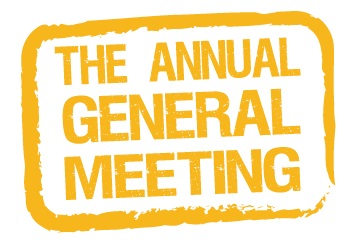 All Club members who are aged 18 years or over are invited to attend the Annual General Meeting and to speak, ask questions and vote upon each of the above matters.